The arrival of summer used to mean the smell of burned sausages and charcoal burgers emanating from many a garden across the UK. Happily, we’ve massively improved on our outdoor cooking skills, around the time that gin has grown again in popularity. We’re not saying there’s a direct correlation but you never know. 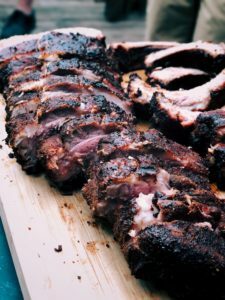 Fifty Pounds flavour profile – juniper, citrus, spice – lends itself surprisingly well to BBQ marinades. For lamb or beef, we’d suggest pushing that peppery note. Start with four parts Fifty Pounds Gin to one part extra virgin olive oil. Mix, and toss with one thinly sliced, medium white onion, two cloves of garlic – finely chopped – a handful of chopped parsley and a teaspoon of black peppercorns. Apply over beef or lamb, and leave for at least three hours, ideally overnight. The one by-product of gin production is, typically, some 30-40lbs of used botanicals per batch of gin. Rather brilliantly, these don’t go to waste and, instead, are proving very popular among the chef community. While some are going quite elaborate with their recycling, if you have access to, say, some of the botanicals used in Fifty Pounds Gin, there are more straightforward approaches too. Put 250mls of ketchup, 100mls of orange juice, 1 tbsp molasses, 100mls of cider vinegar into a saucepan, with 3tbsp juniper, I tablespoon each of coriander seeds, orange and lemon peel, and Grains of Paradise. Cook over a medium heat for 10 minutes and simmer. If it thickens too much, add a splash more orange juice or, indeed, gin. Classic cocktails also make an interesting starting off point for marinades and sauces – the Red Snapper (a gin-based Bloody Mary) being a fine example. 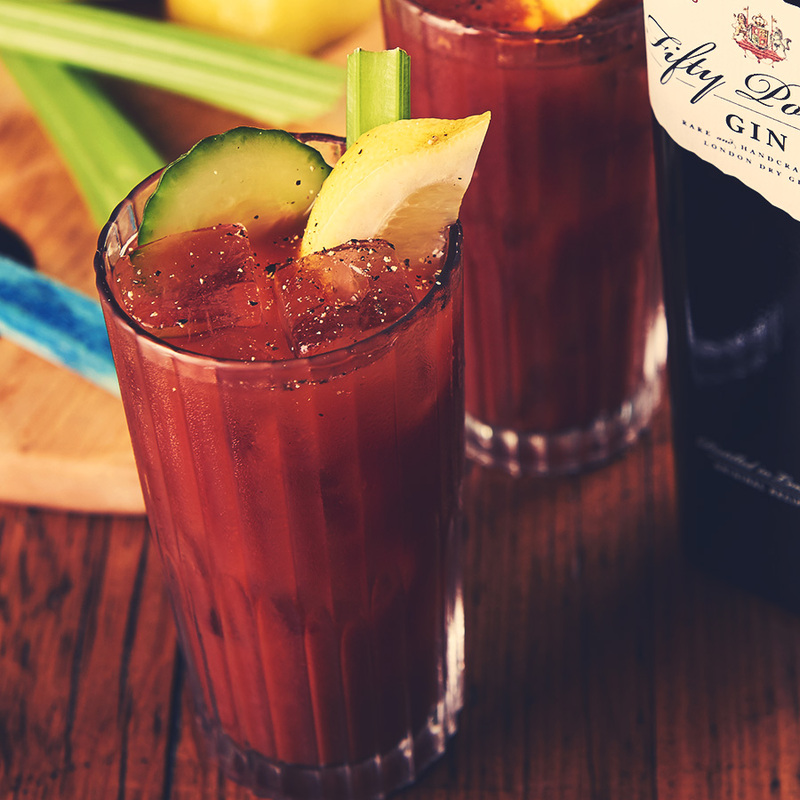 Double the basic quantities – 120 ml Fifty Pounds Gin, 480 ml tomato juice, 30 ml freshly squeezed lemon juice – and add to a saucepan, with 100g of dark brown sugar. Stir, bring to a slow simmer and reduce by around a third (for a marinade) or half (for a sauce). Add Tabasco, Worcestershire sauce, celery salt and black pepper to taste. It makes an excellent marinade for ribs, or chicken. As a sauce, it can either be slathered on during the cooking process or added at the end. 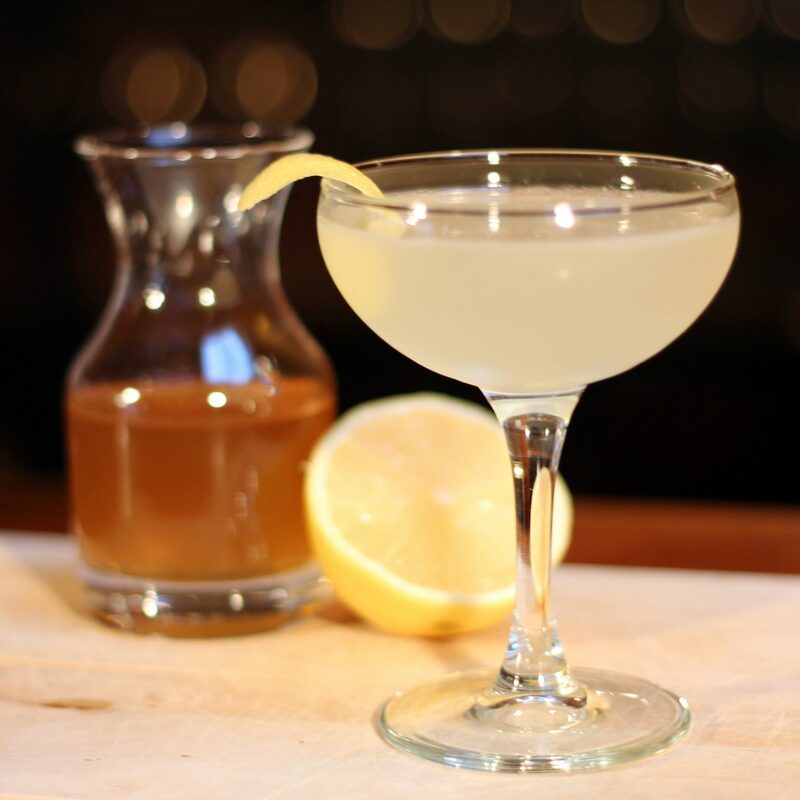 The Gimlet too can be adapted for BBQing purposes – this marinade is excellent with fish and chicken. Take 100mls of Fifty Pounds, the zest and juice of two limes, one clove of garlic minced, one teaspoon of paprika, two tablespoons of honey, salt and pepper to taste. Combine, whisk, and marinade. Gin, of course, can be used to make a myriad cooling, refreshing drinks. If you’re spicing up your cooking, something sweet can help balance the heat, such as the Bee’s Knees. Stir the honey into the water/tonic to make a quick syrup. Add to a shaker with the gin, lemon juice and some ice. Shake, strain into a cold cocktail glass.